Siguiendo con nuestros tableros de tendencia, le toca ahora a la cruz que tanto esta de moda. La he visto en todas partes, desde cosas de hogar, ropa, artículos personales. Desde solida, hasta con pinceladas. Les muestro un DIY que hice yo con fieltro para colocar cosas calientes, además que la estoy considerando para las pizarras adherible que estoy fabricando. Ya integraste este icono a tu vida? Cuéntanos. Más tendencias: Concreto, scallop, puff, photobooth. Imagenes: bolsito en etsy Roman Winkel; cojin y iphone case en society6 por Party in the mountains. Cobija vía pinterest y postales de RK Design. Foto DIY por mi. 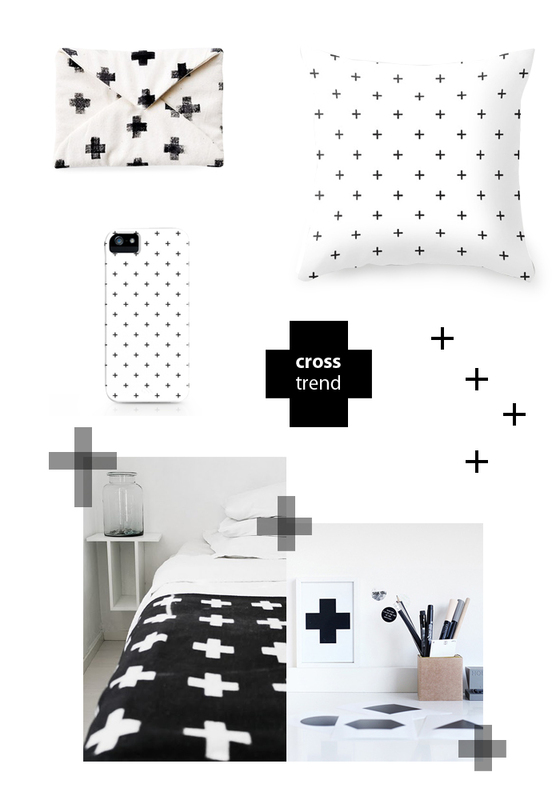 Continuing with our trend boards, this time is for the cross that is so fashion in this moment. Ive seen it everywhere, from home deco, wear and personal accessories. A solid cross and painted too. 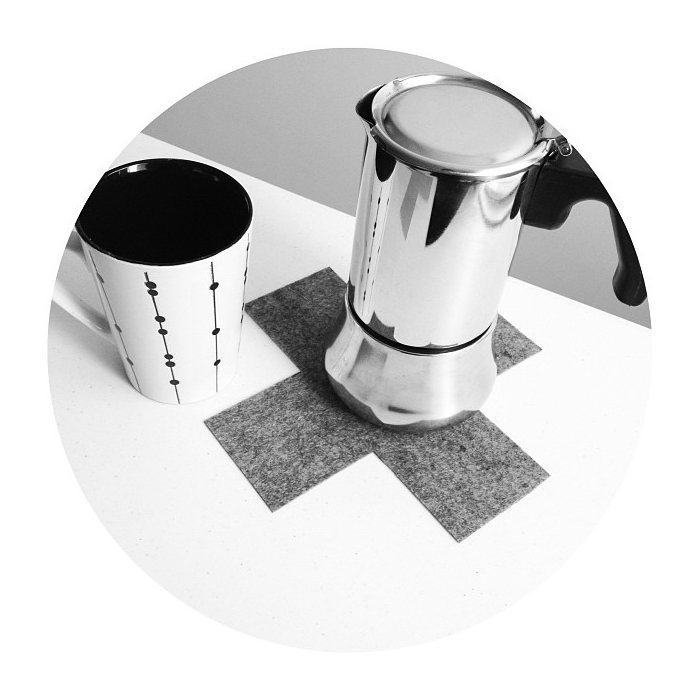 Let me show you the DIY i made for my self, with felt to hold hot stuff, and I'm considering the shape for some chalkboard wall stickers I'm making. Have you integrated this shape to your life? Tell us. More trends: Concrete, scallop, puff, photobooth. Pics: pouch on etsy by Roman Winkel; pillow and iphone case over at society6 by Party in the mountains. Throw over at pinterest and post card by RK Design. Cross DIY by me. Thanks Michelle :) Hope you have it soon. Best wishes.